Ashley joined our team in May 2007 shortly after studying to be a dental assistant at Indiana University South Bend. Ashley is a scheduling coordinator in the Elkhart office, and one of our X-ray certified team members. In her spare time, Ashley enjoys spending time with her family, friends, and her 2 fur babies, as well as traveling, going to concerts, and cheering on the IRISH! Cassie began her career as an orthodontic assistant with us in March 2008. She is also X-ray certified. She and her husband Brad enjoy spending time with their son Will, being with friends and family, spending time outdoors, and cheering on the Packers! Diane joined our team in August 2011. Although most of her experience has been working in sales and with the elderly, she has brought a lot to the office and the front desk. Diane spends her free time with her husband, two daughters, and grandchildren. She also likes to volunteer with the elderly. Devin has been with our office since September 2013. She went to school at the dental assisting program at Lake Michigan College. Devin is also x-ray certified. She and her husband enjoy spending time outside and time with family and friends. Jessie joined our team in March 2012, and is a certified dental assistant with her X-ray certification. Jessie is our treatment coordinator at our South Bend location. She and her husband enjoy spending time with their two daughters outside as much as possible. Kristen is a certified dental assistant who graduated in 2009 from IUSB with a degree in expanded duties, radiology, and CPR. She started at our practice in June 2011. Kristen is married with a son and a daughter. She loves spending time with friends and family, hiking, camping, and of course shopping! Tiffany joined the Brace Yourself team in June 2014. She is an assistant in both South Bend and our Elkhart offices. She enjoys musicals, planting flowers from seeds, and making clay figurines. Mary joined our team in May 2015 as an orthodontic assistant. She has been in the dental field since 2007. She enjoys working with children and loves the feeling of changing a patient’s smile. In her spare time, Mary likes to cook, exercise, and spend time with her husband and their two dogs. Amie started working here in June 2013. She works as an assistant in the office and enjoys spending her free time with her daughter and son. Laura helped Dr. Long open his office in May 2003. She has worked in the orthodontic field since 2000 and has experience in all areas of the office. She is currently our insurance coordinator for both offices. Laura lives in South Bend with two daughters. She keeps very busy with the children’s activities, family, and friends. Leeann is our lab coordinator in our South Bend office. She feels that this area of the office allows her to use all of her artistic talents to make appliances. She has been in the dental field since 1999. Leeann and her husband live in South Bend. She enjoys spending time with their two grown children, traveling, and scrapbooking. Cory joined our team in 2013 and works at the front desk in the South Bend office. She graduated from Indiana University in 2004 and lived in Indianapolis and Tampa before moving back to the area. Cory lives in Mishawaka and enjoys traveling, going to the lake, and spending time with her husband, daughter and son. Jessica joined the team in April 2014 as one of our lab technicians. In her spare time, she enjoys spending time on the lake with her family. Shelley started working for Dr. Long in December 2006, when she brought almost 15 years of experience with her to our office. She has been in the dental field since 1992 and is X-ray certified. Shelley helps Dr. Long with management of the two offices. Shelley loves to entertain guests, watch sports, play with her dogs, and enjoy the outdoors. 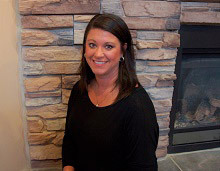 Tiffany joined our team as an orthodontic assistant in July 2013. She has been working in the orthodontic field since 2010. In her spare time, she likes to play with her young daughter, shop, and travel. Sam joined our team in 2013 and has been a certified dental assistant for five years. She obtained her certification, along with her radiology certification, at IPFW. Sam and her husband have two boys, Camden and Decklan. Sam enjoys spending time with her family, road trips, and home renovation projects. Jen has worked in the orthodontic field since 2002. She works at the front desk and is an assistant as well. She enjoys spending time with her family and two dogs. Jen resides in Niles. Lindsey joined our team in 2014 as a sterilization technician. She has since moved into being an assistant. When she's not working, Lindsey loves going to the lake, chasing after her non-stop Energizer Bunny son, fishing with her husband, and trying her hand at cooking. Has been with our practice since March of 2017, she started as a sterilization tech and later advanced to an assistant. In Kaisle's free time she likes to travel,spend time with friends, and go to the gym. Has been with our practice since August 2017, She has been in the dental field for 8 years. She graduated from IPFW in 2014 with a degree in dental assisting. Kaylie is our treatment coordinator at our Elkhart location. In her free time Kaylie likes to travel and work out. Has been with out office for over 2 years. She is a full time assistant. In Sarah's spare time she enjoys traveling, collecting make up and spending time with her family and friends. Has been in the dental field since 2007, she studied dental assisting at Lake Michigan College. When Katie is not working she has 2 wonderful children that keep her busy. Has been in the dental field for 4 years and has been with our practice for 2 years. Sarah is an assistant at both offices. Sarah has 2 daughters and she enjoys traveling. Has been in the dental field for 10 years and has been at our practice for 6 years as an assistant. She loves to spend her free time with her son and listening to Pearl Jam.